We are paying a heavy price for selling off public assets decades ago. As we sleep, democracy, the rule of law and all the institutions that make up civil society are being eaten alive by the world’s most voracious beast – capitalism in its free-market form. In a civil society, “the perennial gale of creative destruction”, as Joseph Schumpeter called capitalism, must be regulated. 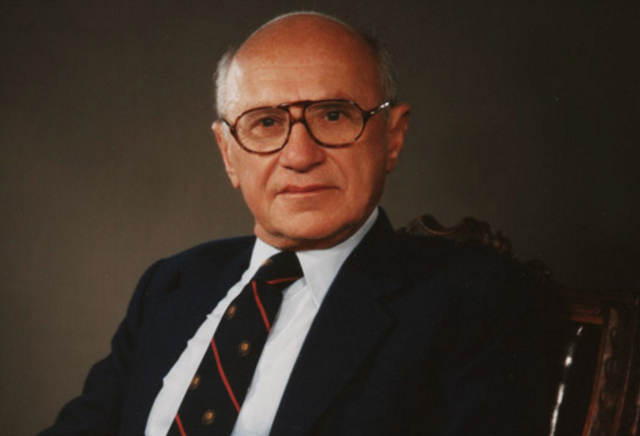 Another economist, Milton Friedman, thought it shouldn’t, and duped leaders into believing that if money-makers are left alone everyone will be richer. That didn’t happen. Instead, the central tenet of free-market capitalism – that government must be so small that you don’t notice it – has weakened democratic institutions. The idea of small government goes down well with some voters, but over time they pay a heavy price. Relaxing government scrutiny of private corporations’ behaviour has brought a resurgence of unethical practices in pursuit of profit – in some cases amounting to criminal behaviour, as the banking royal commission has uncovered. Fossil-fuel interests are driving our assault on natural systems to new levels, with emissions uncontained. Scientists’ warnings are getting sharper. Their reticence about stating personal positions, which has bothered former leading NASA scientist James Hansen, is starting to fall away. As old deadlines pass without political action, leading scientists are now saying that it will take stern global measures over the next decade to stop us from slipping into a permanent “hothouse Earth” state at least 4C warmer than today. More about that next week. We know that our high-carbon lives are fuelling dangerous climate change, and that conspicuous consumption and poor leadership aren’t helping. But one reason for our failure to act stands clear of all the rest – uncontrolled, unfettered, self-centred capitalism. In the privatising of Australia’s public assets, electricity was a key sector. Victorian premier Jeff Kennett led the push in the 1990s by breaking up his state’s electricity commission and selling its assets, an example that the rest of the country largely followed. Unfortunately, the privatisers didn’t read independent analysis like John Kwoka’s detailed 1995 Harvard study of US power utility ownership. Kwoka found that the cost of regulating private utilities made them more expensive than keeping the utilities in public hands. Privatised electricity has been a complete and very costly failure. Phony competition between companies selling an identical product and unregulated spending on poles and wires has made an expensive dog’s breakfast of the National Electricity Market. Actually my dog is much neater. In framing the National Energy Guarantee as providing cheap, reliable power, Malcolm Turnbull and Joel Frydenberg failed to mention that what made power costly and unreliable was privatisation. Unfortunately, this mess is now the basis for a national climate policy. Unlike past Labor schemes, the NEG enjoys Opposition support. In these days of small mercies we have to hope and pray that today’s Coalition party room decision will allow future reviews of our shamefully weak emissions targets and that it won’t stop renewable investment in its tracks. This whole fiasco has happened because in the 30 years since learning about global warming governments have failed to confront the “merchants of doubt”, the coal, oil and gas interests whose reserves will lose value in the event of decisive climate action. Throughout those years Australia paid a heavy price. A change of government saw the demise of our most effective emission-cutting measure, the 2012-14 carbon tax, as the Coalition under Tony Abbott succumbed to a well-resourced barrage of industry propaganda. This failure is not just about climate policy. Politicians of all flavours avoid confronting business interests because so much is shared between them. It can be expressed in many ways, through meetings and shared social events, for instance. And money plays its tawdry part. This public-private mutual admiration society has the effect of limiting involvement of ordinary people in big national and state decisions. Sure, we get invited to make submissions about this or that policy or project, but opportunities for public discussion are few and far between. The blurring of lines between public authority and private capitalism has greatly lengthened the gravy train of corporate boards and executives, lobbyists, politicians, minders and senior and former public servants. It’s getting hard to tell the difference between them. We used to think that retiring politicians and senior bureaucrats who slipped seamlessly into well-paid private consultancies were bordering on corrupt. We thought that an excellent pension after leaving office was adequate compensation for years of service, but apparently not. All good politicians and public servants – and there are many of them still – recognise that public service is a privilege, a high calling that has its own, non-monetary, rewards. But it has been dragged into the mud by poor examples set at the top. Lack of daylight between government and private interests is all the justification we need for strong anti-corruption commissions in Canberra and each of the states. That can’t happen soon enough. This entry was posted in atmospheric science, Australian politics, business interests, business, investment, employment, carbon emissions and targets, carbon tax, changes to climate, climate politics, climate sensitivity, consumption, electricity networks, fossil fuels, future climate, inequality, public opinion, renewable energy, temperature and tagged James Hansen, Joel Frydenberg, Joseph Schumpeter, Malcolm Turnbull, Milton Friedman. Bookmark the permalink.